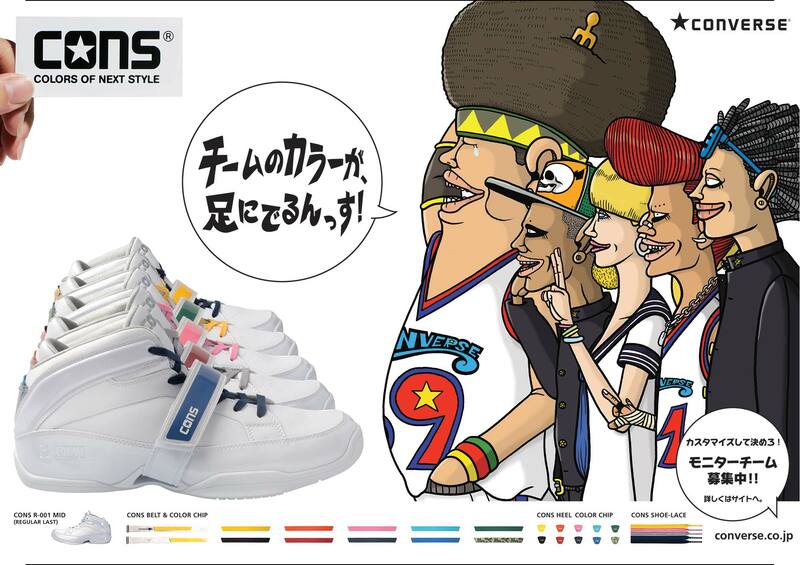 This is a Converse Japan campaign for basketball shoes M001 and R001. We started in 2009 and it is ongoing. I developed 5 characters making up a teenage highschool basketball team. Each kid in the team has certain characteristics reflected in the drawings. The team is used on the website and on posters and billboards.